The Jewish World | Tisha b’Av – How do Israelis grieve? JERUSALEM – Many Israeli Jews visit the Kotel (Western Wall) on Tisha b’Av, a day of mourning and remembrance for the destruction of both the First and Second Temples and other tragedies in Jewish History. How many Jews? Newspapers report that thousands, even tens of thousands stand before the Kotel on Tisha b’Av. 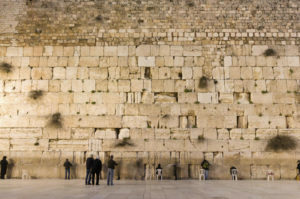 The Jewish People Policy Institute‘s (JPPI) Israeli-Judaism research project found that the number of Israeli Jews who say that they visit the Western Wall on Tisha b’Av is more than two hundred thousand. We can assume that some respondents were less than forthcoming and that not all of them show up every year. Still, the fact that they state their willingness to show up has meaning —even if it is not every year — they still feel that it is necessary to visit the Kotel on Tisha b’Av . 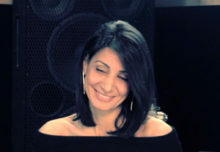 Who Is Noting The Day? Who are these two hundred thousand people? Four percent of Israeli Jews say that they visit the Western Wall on Tisha b’Av, almost two hundred and fifty thousand Jews. The research shows that these Jews don‘t come from all sectors of Israeli society – they are Religious or Haredi. According to the survey, which was conducted by Professor Camil Fuchs, a little more than thirty percent of Israelis (31 percent) define themselves as Liberal – Religious, Religious, National Haredi, or Haredi. 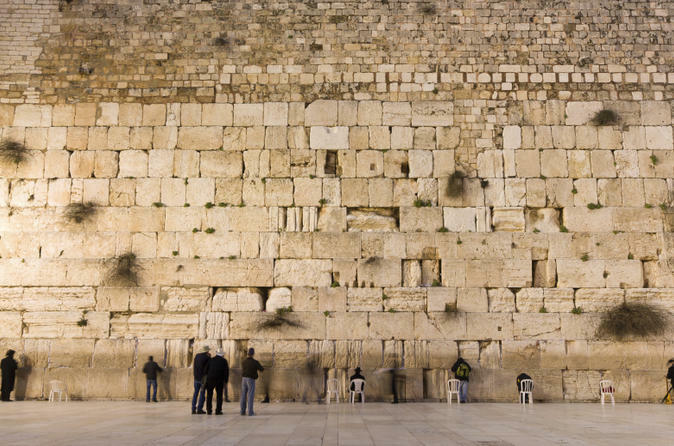 About 9 percent of Religious and Haredi and Jews and three percent of traditionists say they visit the Western Wall on Tisha b’Av. The percentage of secular Jews who visit the Western Wall on Tisha b’Av approaches zero. The number of Jews that visit the Western Wall on Tisha b’Av is a bit lower than the number who visit the Kotel for the priestly blessing on Sukkot and Passover. Perhaps it has something to do with Tisha b’Av being a fast day. About a third of Jewish Israelis fast on Tisha b’Av. Like any other fast, some Jews (36 percent) fast for the entire day, some (6 percent) fast only part of the day, and some (2 percent) avoid food but drink fluids. Fewer Israeli Jews fast on Tisha b’Av than on Yom Kippur. The study shows that Tisha b’Av is a more sectorial fast, unlike Yon Kippur when many traditional and secular Jews partake. For example, 91 percent of traditionist Israelis fully fast on Yom Kippur while only 27 percent of them do the same on Tisha b’Av. This difference is nonexistent in the Haredi sector, where 97 percent fast on Tisha b’Av and 99 percent fast on Yom Kippur. The JPPI survey asked about other fasts on the Jewish calendar and the shorter fasts (those that last for the duration of daylight) are observed by fewer Jews – all either Haredi or Religious. A larger number of Jews observe the longer 25-hour fasts, Yom Kippur and Tisha b’Av. Thirty-one percent of Jews observe the religious tradition of not wearing leather on Tisha b’Av and most of those who observe the fast also wear canvas shoes. Those who think of Tisha b’Av as a national day of mourning may change their minds when they compare the data about Tisha b’Av with those of other national days of mourning. Fifty-five percent of Israeli Jews claim that as far as they are concerned, Tisha b’Av is just a regular day. For other national days of mourning like Yom HaShoah or Yom Hazikaron, only a small percentage of Jews (9 and 5 percent respectively, most of them Haredi) claim they are just regular days. JPPI’s Israeli-Judaism project is headed by Senior Fellow Shmuel Rosner, and Professor Camil Fuchs (Tel Aviv University), who oversees the surveys and statistical analysis. JPPI Fellow Noah Slepkov assisted in data analysis, drawn from a survey conducted of 3000 Israeli Jews in two rounds, one of 2000 respondents and another of an additional 1000 respondents, a representative sample of the Jewish public in Israel. The statistical margin of error for the sample of 3000 is 1.8 percent. The Jewish People Policy Institute (established by the Jewish Agency for Israel) is a think tank located in Jerusalem. Avinoam Bar Yosef is president of JPPI, and Ambassadors Stuart Eizenstat and Dennis Ross are the Institute’s co-chairmen. What does ‘Maccabee’ really mean? 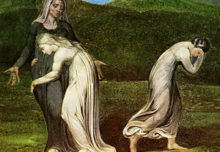 Shavuot, celebrating the giving of the law—and the mother-in-law? In quest of the elusive license plate; Rhode Islanders— please take a trip!